The following is a guest post by Julie Grob, coordinator for instruction in Special Collections at the University of Houston Libraries. This week, we’ll feature posts by members of the UH Libraries Copyright Team highlighting Fair Use/Fair Dealing Week 2016. What do the rap group 2 Live Crew, kitschy artist Jeff Koons, and pop punk band Green Day have in common? 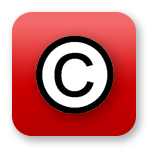 They have all been at the center of legal cases in which their use of an image or a piece of music by another artist was ultimately ruled to be fair use. In 2 Live Crew’s case, they borrowed the familiar lyrics and bassline from Roy Orbison’s song “Pretty Woman” for their satiric song “Pretty Woman.” Koons incorporated a fashion photo of a woman’s feet clad in sandals in his painting “Niagara.” And Green Day modified a piece of street art by Dereck Seltzer for a video that played onstage during concerts on their 2009-10 tour. In each case, the court ruled in favor of the repurposing creators.